To coincide with the 250th Anniversary of Cook’s first voyage to the Pacific, Solander Gallery and project partner Embassy of Sweden in Canberra have initiated an exhibition to commemorate the contribution naturalist, Daniel Solander made to New Zealand’s history. Scientist Joseph Banks employed Daniel Solander, a Swedish botanist and together they collected hundreds of plant species as the Endeavour circumnavigated New Zealand. 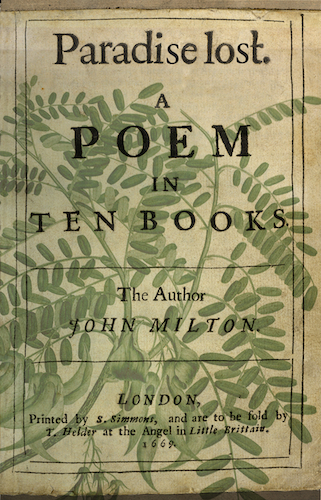 As paper was in short supply in 1760’s England, Banks and Solander bought printers proof of Milton’s book Paradise Lost and it was pages from this work that were used to press and dry the first European collections of New Zealand plants. Ten contemporary New Zealand artists have been invited to respond to Daniel Solander for an exhibition that will open at Solander Gallery in 2019 and then tour nationally and internationally. The participating artists are, John Pusateri (Auckland), Alexis Neal (Auckland) Dagmar Dyck (Auckland), John McLean (New Plymouth), Tabatha Forbes (New Plymouth), Michel Tuffery (Wellington), Sharnae Beardsley (Christchurch), Jo Ogier (Christchurch), Lynn Taylor (Dunedin) and Jenna Packer (Dunedin). Expect further updates as we delve into the life of Daniel Solander, the botanist and nature’s argonaut. Special thanks to the National Library of New Zealand and Museum of New Zealand Te Papa Tongarewa for the opportunity for artists to view the Banks and Solander collections. Just send us an email and we'll let you know of upcoming shows and events. You might even like to Follow us on Twitter or join the Facebook group. All images © the respective artists; unauthorised reuse prohibited.